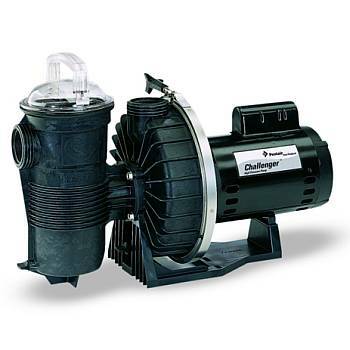 Pentair Challenger High Flow Pumps are designed to deliver increased flow rates needed in more demanding applications. And, they deliver extra pumping power while also minimizing energy use. 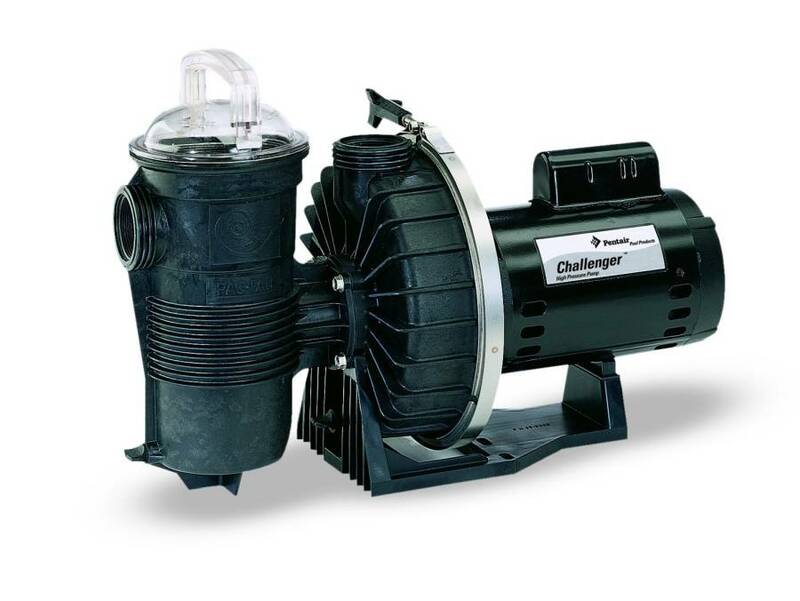 These fiberglass reinforced pumps feature durable custom-molded thermoplastic components to meet the toughest operating conditions and keep on going. Standard 2 in. suction and discharge ports permit maximum operating efficiency. Extra-large strainer basket extends time between cleanings. Transparent strainer pot lid with comfortable handle provides easy access to strainer basket. Unique diffuser and impeller provide excellent high pressure performance for all types of demanding installations. One-bolt stainless steel clamp removes easily to provide quick access for any required service. Power end can easily be removed for service or winterizing without disturbing piping or pump support base. No tool required for removing thumbscrew drain plugs for draining and winterizing. Internal components and 2 in. ports are designed to provide rapid priming and quiet operation.